Cameron House #1 | Historic Jacksonville, Inc. In 1890, Mary Krause bought the 1-story wood frame dwelling located at 425 S. Applegate Street for $1,000. The house now consists of 3 adjoining rectangular blocks. The first was probably constructed in the 1860s by the original owner, E.G. Reiman; the other 2 sections added in the 1870s by Andrew Hauser and his wife, Margaret Krause. 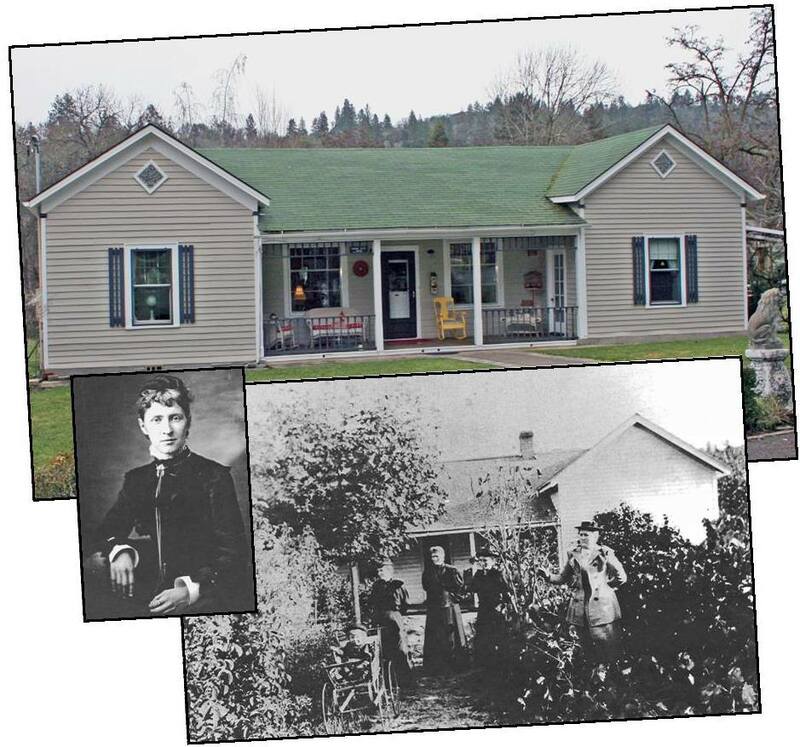 Mary (better known as Mollie) Krause was Margaret’s daughter-in-law and the young widow of Frank Krause, who had been proprietor of The Oregon Sentinel newspaper for several years in the 1880s and ‘90s. Mollie subsequently married Theodoric Cameron, a prominent merchant, miner, businessman, and politician. The house is now known as the Cameron House.